Roger Underwood, an Ames agribusiness magnate and Iowa State University philanthropist, is also a major GOP donor and active social media user. Some of his activities on Twitter and Facebook, including his criticism of NFL players protesting against racial injustice and of Hillary Clinton, call into question his awareness of diversity issues, a problem former ISU President Steven Leath, who Underwood recruited to ISU as co-chair of the university’s 2011 presidential search committee, often grappled with. “Watched football live and on tv yesterday and zip today #dontnnedtheNFL [sic],” he tweeted last weekend, one of several times he has criticized NFL players who have been kneeling during the national anthem to carry on former San Francisco 49ers quarterback Colin Kaepernick’s protest of police brutality and racial injustice against African Americans. 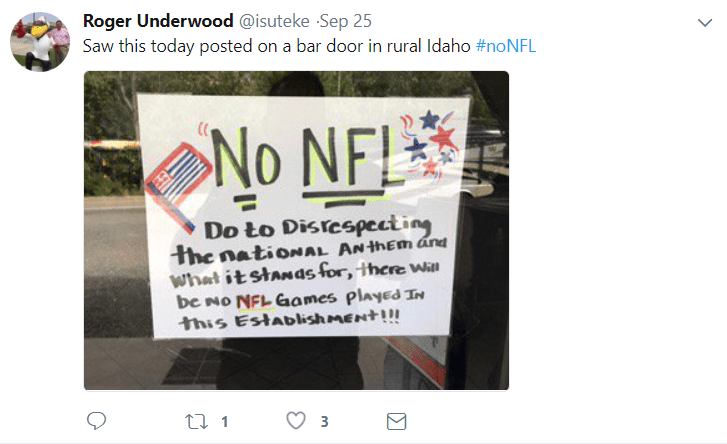 In September, Underwood tweeted a photo of a sign posted on the door of a bar in rural Idaho notifying customers that the establishment was refusing to show NFL games on TV because of the protests, which conservatives have used as a political attack, suggesting they are a show of disrespect for members of the armed services. 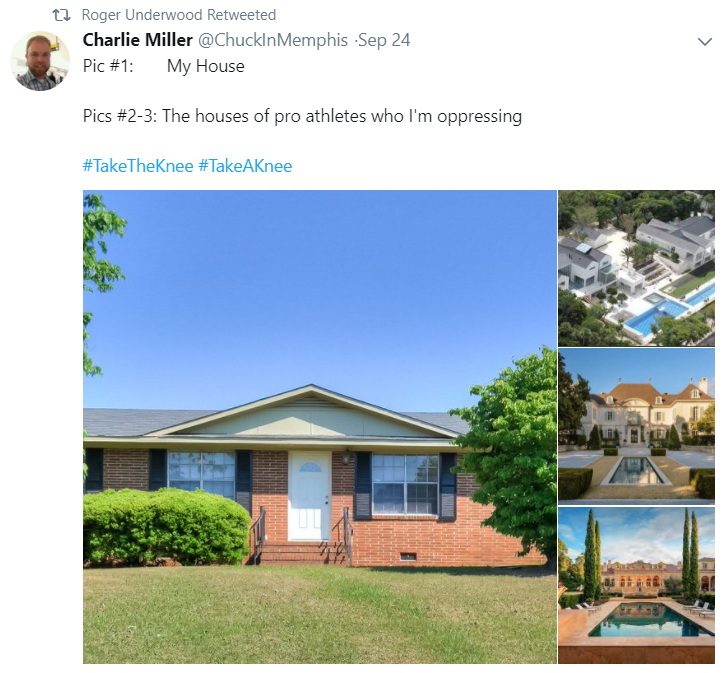 Embracing a false narrative about the protests, Underwood retweeted a series of photos comparing a modest house to those of NFL athletes, suggesting they don’t face oppression because they are wealthy. To the contrary, black football players do continue to face discrimination in a league that once resisted racial integration, but the protests are not even about this — their target is the broader problem of racial injustice throughout America. 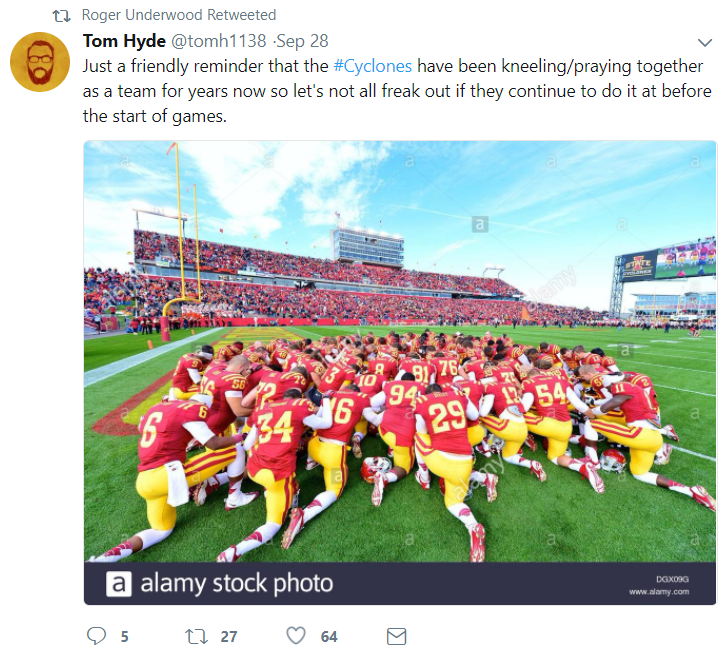 Underwood also retweeted a comment from a Twitter user telling people to “not all freak out” if members of ISU’s football team kneel before games, explaining that kneeling and praying is a longstanding tradition for the team. In 2014, Underwood spoke to students at Nevada High School, reportedly warning them that an arrest record could prevent career advancement. The racial disparities in Iowa’s prison system because of the state’s disproportionate African American arrest rates have long ranked among the worst in the nation. From 2006 to 2014, Underwood’s political campaign contributions included a total of $14,300 to Congressman Steve King. Last September, King took an even stronger stance against the NFL protests, saying Kaepernick’s actions were “sympathetic to ISIS” and influenced by his “Islamic girlfriend,” radio personality Nessa Diab, who is of Egyptian descent. 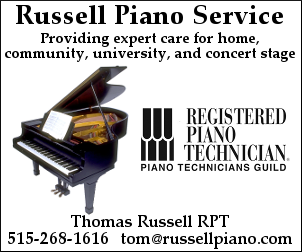 Underwood did not respond to a request for comment for this article. 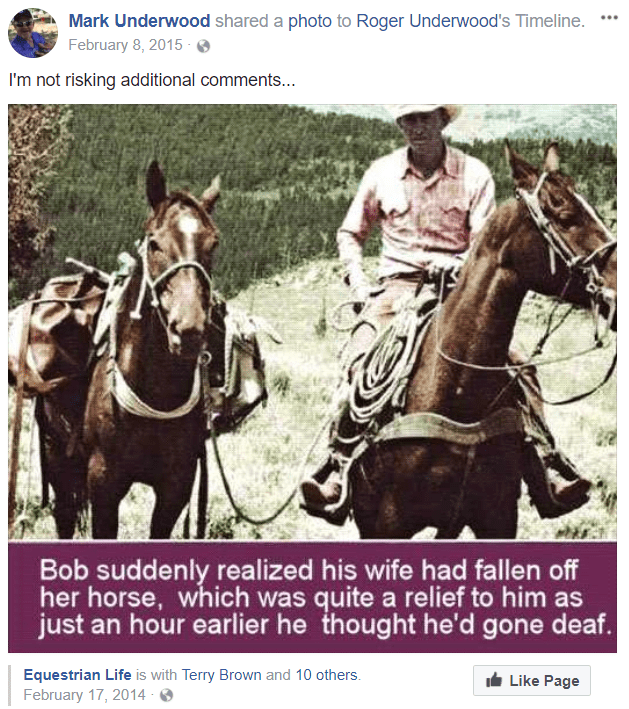 On Facebook, Underwood has repeatedly criticized Hillary Clinton. Before the election, he predicted she would “be charged with multiple crimes” over her use of a private email server, which the FBI investigated and declined to prosecute. 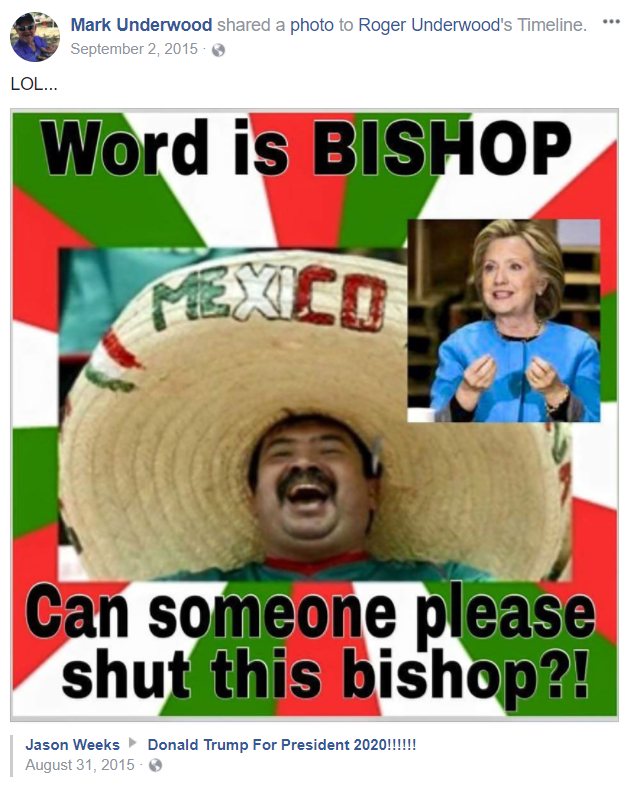 In a typo-riddled post, he criticized the Des Moines Register for endorsing Clinton over Trump, clarifying that he supported neither candidate for president. “Both candidates are flawed to levels like we have never seen in a Presidential election,” he wrote, before slamming “some editor” at the paper as being “out of touch with reality” for suggesting Clinton represented American values. 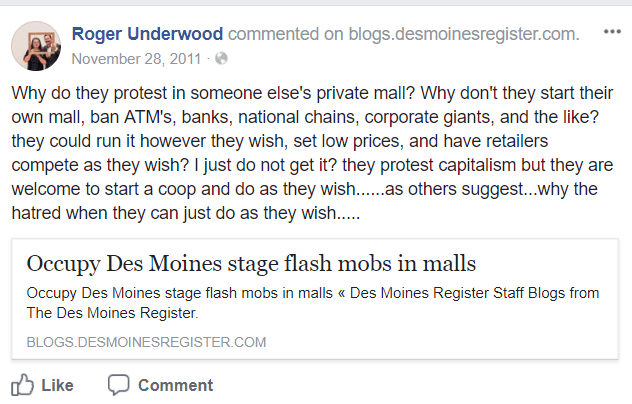 Other comments Underwood has shared on social media further illustrate his apparent lack of empathy for historically oppressed groups and disdain for protesters, including tweets criticizing the Standing Rock Sioux Tribe for spending donations on its casino, which it relies upon for revenue and suffered because of the Dakota Access pipeline protests; and the Occupy Wall Street movement. Underwood founded ISU’s Agricultural Entrepreneurship Initiative, which recently received a $1.7 million gift from the Charles Koch Foundation and whose chairmanship former Board of Regents President Bruce Rastetter later endowed with donations totaling $2.25 million. Underwood’s family foundation also recently donated $1 million to ISU’s ag college. After graduating from ISU, Underwood co-founded the Ames-based agriculture seed business Becker Underwood with Jeff Becker. He joined the private equity firm Riverwood Management after the Germany-based BASF Corp. bought his company in 2012 for $1.02 billion, and he also serves as a partner with Becker and Rastetter at the Rural American Fund, a private equity firm based in Chicago.